When the bridges of Skyway City were built, the Trolls simply came with them. Trolls. The very word conjures an image of mythic monsters from Scandinavia. No gang is more feared in the Hollows than the Trolls of Paragon City. They are the “boogie men” that parents use to frighten their children away from the temptation of drugs and life on the street. The Trolls are a focus of Paragon’s urban myths, like New York’s sewer alligators or Miami’s Bloody Mary. Some stories say the Trolls are a deformed offshoot of humans, while a few others believe the Rikti were somehow behind them, long seeding the world with mutagenic drugs. The real story is even darker. The first Trolls appeared in Paragon sometime in the early 1980s. Early police descriptions of the Trolls were similar: homeless individuals, often with a criminal record, and always long-time drug users. Although the first Trolls had no connections to each other, as stories of their condition grew, they began establishing ties to each other. It was not long before every Troll in Paragon City found him or herself drawn into a similar orbit, and it was only natural that a gang formed. 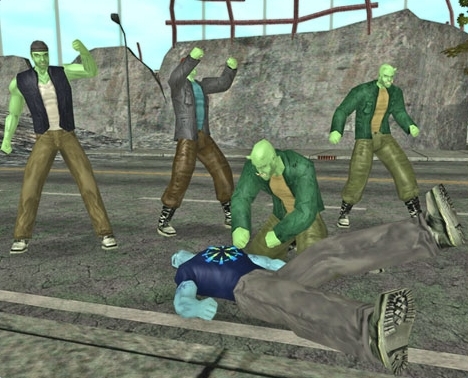 With their emotions heightened and their wits diminished, the Trolls fought legendary street-battles to establish a hierarchy within this new urban tribe. The winners ruled, and the losers obeyed. 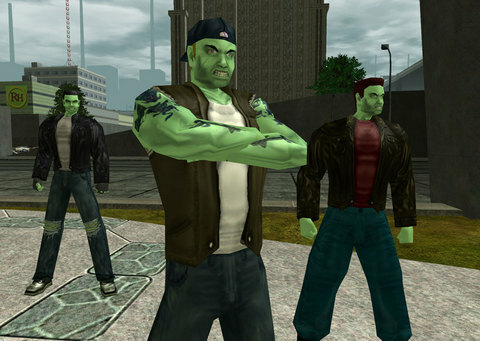 Superadine, a street drug often called Supes (or more recently Dyne), not only causes the Troll mutations in users, but has also become integral to the gang’s initiation rites, and in fact is a part of all gang rituals. The more they indulge, the more extreme the transformations; and the most senior Troll members have undergone truly monstrous physical and mental mutations. The Troll-condition, as it is colloquially known, was studied by researchers at the St. John-Smythe Foundation for Medical Research in the mid-1980s. It was conclusively proven that the Trolls’ green skin hues, exaggerated musculature, and low-level super-powered abilities, were a direct result of long-term Superadine addiction. When the gang first appeared, they were considered a major nuisance, but not a critical threat. This all changed when a group of Trolls blew up a large section of Eastgate, in the Hollowing event. The new territory, nicknamed “the Hollows,” became their new center of activity. Superadine-fuelled strength has allowed them to cement their positions, turning the Hollows into one of the most dangerous regions for novice heroes. 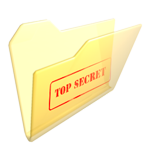 The recruit is given an enormous dose of Superadine, and must simply remain conscious. It does not matter if the recruit acts improperly or loses his or her sense of judgment – in fact, such wild activities are encouraged – as long as he or she remains awake. 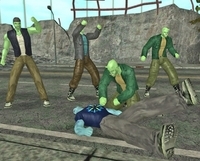 These types of rituals are common place in the tribe, such as when a group of Trolls all overindulge in Supes and rampage together. Their goals are simple: to create mayhem, and to further their personal power by consuming as much Superadine as possible, heedless of the consequences. Trolls believe strongly in survival of the fittest. The junior members are known respectively as Trollkin, Jutal, Gardvord, Ogre, and Caliban. The highest ranking Trolls have mutated into grotesque abominations – they have horns, bulge with oversized muscles, and are relatively sexless. 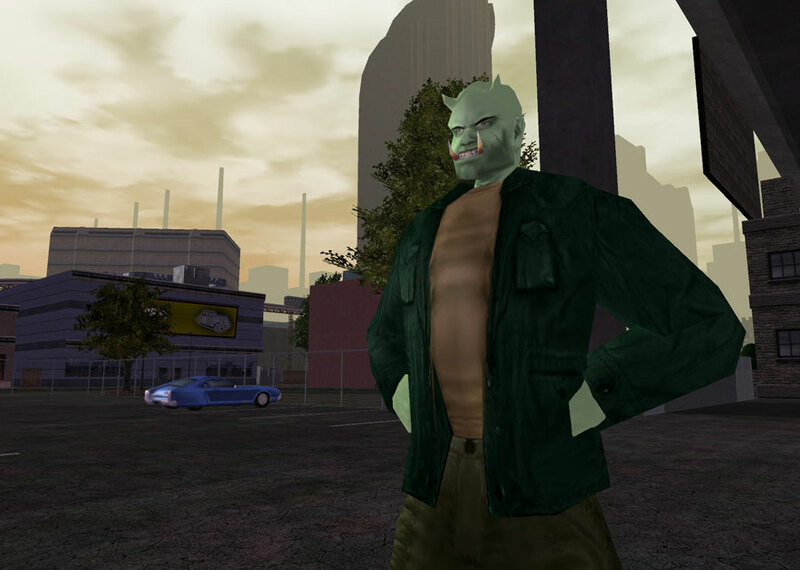 Troll activity is widespread in the Hollows, Steel Canyon, Boomtown, and of course, Skyway City. In an attempt to curtail the gangs’ drug-induced rampages, the city created the Paragon Police Troll Task Force. The Task Force’s main bastion is in the Hollows, led by Lieutenant David Wincott. The Trolls remain a serious threat to Paragon City’s future. Most citizens fear and hate the Trolls. 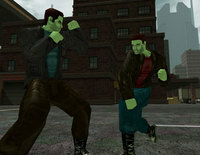 Although as addicts they have an illness, it is hard to feel sympathetic to a rampaging, green-skinned, muscle-bound junkie. Because they are so poorly understood, many rumors have sprung up around the Trolls, including barbaric tales of torture, drug-fuelled frenzies, self-inflicted mutilation, kidnapping, and even murder.